It’s time for a sew-along! I’m so excited to announce that I’m teaming up with the amazing Meg, of elsie marley, to bring you our first Happy Homemade Kids Sew-along! We’re picking one pattern to sew from the ever popular Japanese pattern book, Happy Homemade Vol. 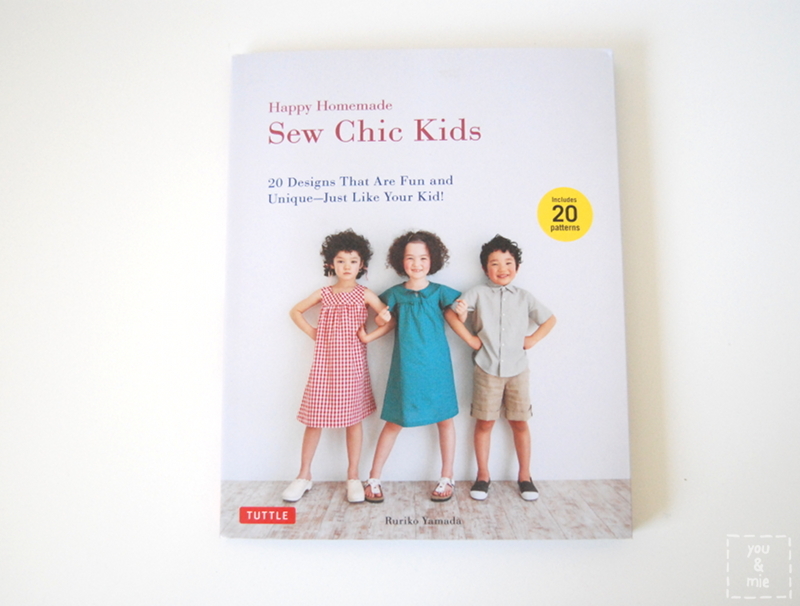 2, which has also been recently translated to English (Happy Homemade: Sew Chic Kids). You can use either version of the book to sew along with us! So which pattern will we be sewing together? We thought the Pull-over Parka would be a great pattern to start with. A great wardrobe basic for boys and girls, appropriate practically year round, plenty of room for modifications and embellishments, not too tricky, but not too simple. What do you think? Do you know a kid who needs an awesome hoodie? 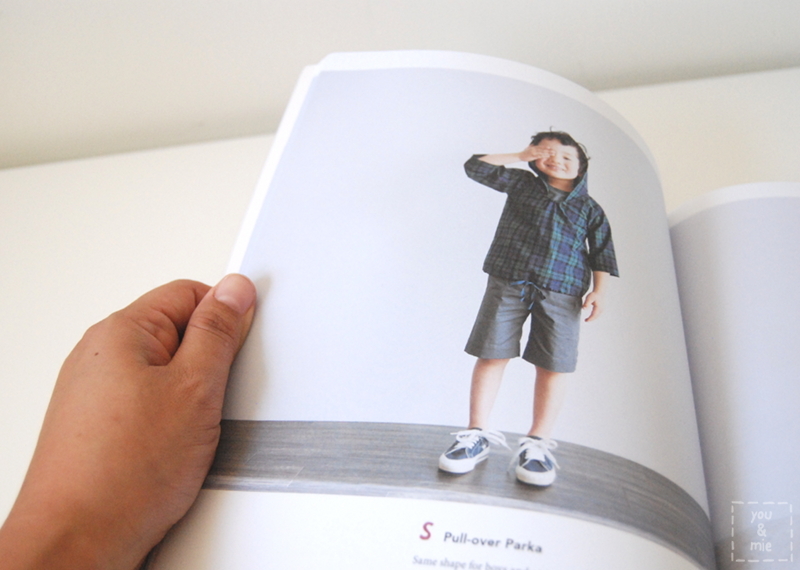 The book includes Japanese sizes 100 – 130, which is approximately US sizes 3/4 – 7/8. The sew-along will be from June 16-20, so put it in your calendar! Between now and then we’ll be back with tons of information about where to buy the book, what types of fabric we recommend, along with other materials you’ll need, hoodie inspiration and modification ideas. Once the sew-along starts, Meg and I will be taking you through every step of the process from tracing your pattern and adding seam allowance to constructing the garment. When you’re done, we want you to take a picture of your pullover and share it in the sew-along Flickr pool. Enter your project into the pool by Monday, June 23 (corrected from an earlier typo – my apologies!) so you can be included in our round-up AND be automatically entered in a great giveaway!! More details on that to come! I’ll be back later this week with some places you can buy the book if you’re an international participant or are super eager to get the book in your hands! We’re really hoping that you’ll join us for this sew-along! If you’ve always wanted to try a Japanese sewing book, but wasn’t sure where to start, THIS IS IT. Bookmark it. Pin it. Don’t forget it! This entry was posted in announcement and tagged happy homemade kids sew-along, Japanese patterns by Cherie. Bookmark the permalink. Great idea! I’ve made this pattern a few times now and answered countless flickrmail and email messages about how on earth the neckline works. Hopefully the new translation is clear as the older one most definitely was not! Shino of nuttablog did a photo tutorial that would be good to reference. I can’t see myself making another right now but I’ll be happy to see them all in the photo pool. My girls would love it if I made them this pullover, thanks for the chance! Yes! I’ll be there 😉 I’ve been really wanting to jump into Japanese book sewing for the longest time and this would be the perfect first project. I think I’ll make the hoodie for my daughter! I’d love to take part! I’d make a hoodie for my eldest son. Plus it would be really helpful to have you walking me thru I’ve never sewn a hoodie or a japanese pattern before. Sounds like fun! What a fun idea! I’d make a hoodie for my third child, who gets all the hand-me-downs. It’s definitly her turn for something new. I will make the pullover for my niece with the stipulation, as with all my handmade clothes gifts, it comes back to my little ones. I pretty much only sew for my daughter. Sometimes, I wish I had someone else to sew for! Yay! I’m so excited for this! I just got this book last month had have been staring at it wondering where to start. I’ll definitely participate and sew a hoodie for my little guy….he is seriously lacking in the mama made department! How exciting!!! We’d have to sew the parka for our oldest niece. . .who is barely in the smallest size :)! i would make it for my oldest, a little boy about to turn 4 at the end of June. This would be perfect timing! would love to make this for my daughter! I would probably make one for my son first! Twin boys mean double the sewing fun! I’m in! I’ve been meaning to make that pullover for awhile now. I have the English version of the book and have loved the two items I’ve made so far( artist smock and square neck dress). The size 2 fits my 1 1/2 year old who has a 20″ chest:). I’d love to see my little guy in one of these patterns. Thanks for the giveaway! What a great idea. I have this book (in French) and it has actually been in my mind to make exactly this pull-over… since I have a litte guy who would love it. Now I have no more excuses …I am in! Oh, my eyeballs! I need 8000 of those gingham dresses immediately. This is going to be a fun weekend! What a great idea! I have this book (it is, maybe, my favorite sewing book) and I’ve been willing to sew this pullover. Now I have the perfect excuse! i’ll be making one for my daughter first and then, following it up with one for my nephew! I am in! Just need to make ten (yes, 10) – one for each of my grandkids! That’s a tall order. Maybe it’s time for a week off from work . . .
Yay! That pullover was high on my list and now I have a real reason to make it! It’s on my calendar for sure!! I’ll have to trace this pattern out next. Hooray for having a sew-along because this one had me a bit intimated. Thank you! Any advice on fabric selection would also be especially nice. Not quite sure what would work best with this pattern. I love this idea! I am still in the learning process of sewing so if there are tutorials along the way, it is just PERFECT! 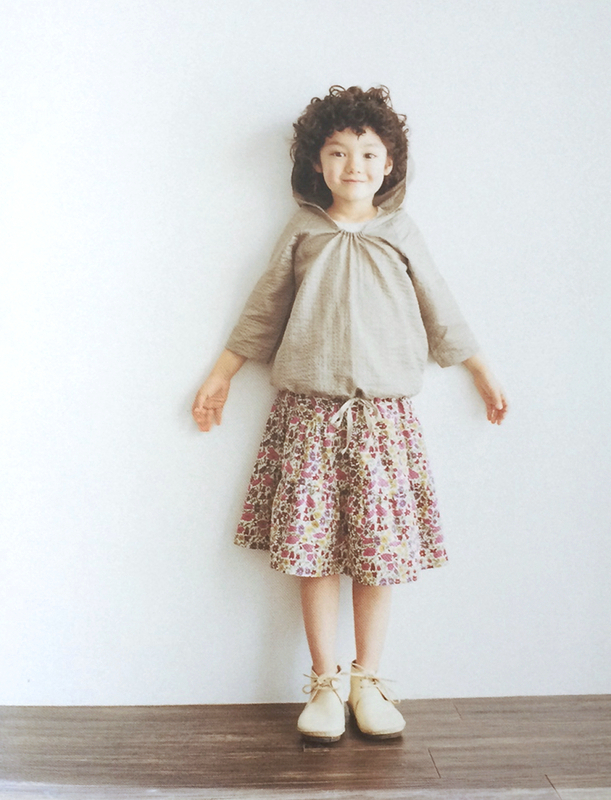 Between you and Sanae Ishida’s blog I’m totally pumped up to finally do something from a Japanese pattern book! Sounds like fun! I’ve been admiring this book — may have to pull the trigger! How exciting! This would be perfect for all three if my kids and a sew along would be perfect motivation for me to learn a few new techniques! I can’t wait!! I’ve never tried a Japanese sewing book but I love the style so I think I may push myself out of my comfort zone and try this for my daughter. Yeah, sew along! I will be making the hoodie for future grandchildren! Great hoodie! I’d love to make one for my 4 year old daughter. My two year old would rock this…but he IS a boy afterall and doesn’t spend much time worrying about his clothes, unless they get in the way of his climbing, biking, digging and yelling! I would love this book! My 7 year old son would look awesome in this pullover! I could make the pullover for any one of my three kids. I would probably start with my middle child because she would be the most excited. it would work for either of my younger children, so I should make two, one for my daughter, one for my son. That would be fun! Both my girls fit into that size range and they love pullovers. My poor forgotten (sewing-wise) son! My son and daughter would get pullovers! I would so love to own this book. I would make the pullover for my adorable niece. I would make a hoodie for both of my girls (5yrs and 23months). Thanks for the giveaway!!! I would love to make a hoodie for one of my boys. I’ve always wanted to try out a Japanese sewing book! Looks like great stuff! My oldest is in desperate need of new clothes. She’s outgrown everything. These patterns are so her style. This book looks fablouse. I like to sew for my 2 girls aged 2 & 5, there are lots of patterns in the book I would like to try the hoodie dress, jumpers, pj’s . We do t have a printer so I find my self trying to draw up some patterns from your blog. I am making this for my tenacious two year old. I will be sweing one (or maybe two) of these for my boys! Very cool! I’ve had this book on my Amazon wish list and would love to own a copy! My daughter would be the lucky recipient of a mom-made pullover. Thanks for the opportunity!! It would have to be for my $yr old daughter – so cute! Oops – that would be 4yr old! I would make a pullover for my 2-year-old son! Adorable! I want to participate! I would love to make the hoodie for both my tall 2 year old daughter and my 4 year old son, they will look awesome! I’ve been a little scared of the Japanese pattern books, but I really want to learn, what a great time to start. I would love to participate! I have never sewn any Japanese patterns before, so a sew-along would be a great place to start… this hoodie is adorable. I would make it for my oldest (5 year old) son! I’m so excited to participate in this sew along! It will be a lot of “firsts” for me; as in my first time doing a sew along, first time sewing from a Japanese sewing book, and first time sharing my work with an online sewing community. I’ll be sewing for my 2 year old daughter who happens to love wearing anything that I sew for her. I love the pullover! I’ve got two little boys I would love to make one for, we’d definitely participate in the sew-along. Thanks for the giveaway! I’m participating in the sew along to make the pullover for my 5-yr old! Can’t wait!! This pattern is gorgeous! I’ve never done a sew-along before but the item and timing are perfect for me. I’ve had this book for nearly a year and haven’t gotten up the nerve to try anything yet. I’ve had the fabric for the hoodie for nearly 6 months, so this is just what I need get me motivated! Patterns go up to which size (only 8 or bigger i.e.12)? My book arrived today and I’m stoked! I’ve had this book for years in Chinese – which I can’t read! Can you tell me do I need to add a seem allowance to the pattern pieces. I’ve alsways assumed i do, just thought I’d check. Thanks in advance.